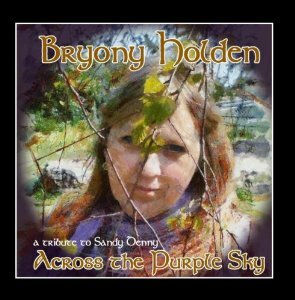 Bryony Holden has released a tribute album to Sandy. It was released digitally on the 35th anniversary of Sandy’s death (21 April) and is well worth checking out on itunes. It’s also available as a CD on demand from Amazon US (but not UK). There was also an event at Banbury Folk Club on 19 June, “Linda Watkins and Friends Sing Sandy”, which sounded interesting for anyone in the Oxfordshire area. Thanks for getting in touch. Actually, I wrote about the Westward programme in my book (p50). We searched high and low for video but in vain. I've heard audio taped off air when the programme was repeated on Yorkshire TV. I wonder if that's the same as your recording? Anyway, the sound quality is pretty bad, so it was a thrill to find White Dress on LWT in decent sound AND vision. Something awry with those dates. The wedding was Sep 73; this show was recorded in Sep 75. FC had a TV appearance (or recording?) in Plymouth the day after the wedding, which Peggy has talked about - must be the occasion he was thinking of. Sandy wasn't in the band in 1973.